The influencer marketing is a technique and a set of marketing levers which will enable a brand to sell, develop its reputation on social networks. Companies are waiting to have remedies and some to come in – they come (more) through. It is a real revolution in the web sphere and the phenomenon is growing among brands. But what is it? What is the current state of affairs of the influencer marketing? What are best practices? What are the relationships between influencers and the brand/company? What tools to identify and identify relevant influencers? Influence 2.0 will be the subject of our appointment LEW n ° 2 Friday, June 23, from 9 to 11 to co-working Wereso Lyon space. For this second edition of the morning, we will have the pleasure to speak with Delphine Reynaud EMEA Marketing at Traackr. Traackr is an influencer marketing platform to identify and manage the best influencers on a given sector. The platform is used by very large global groups and prestigious companies including. 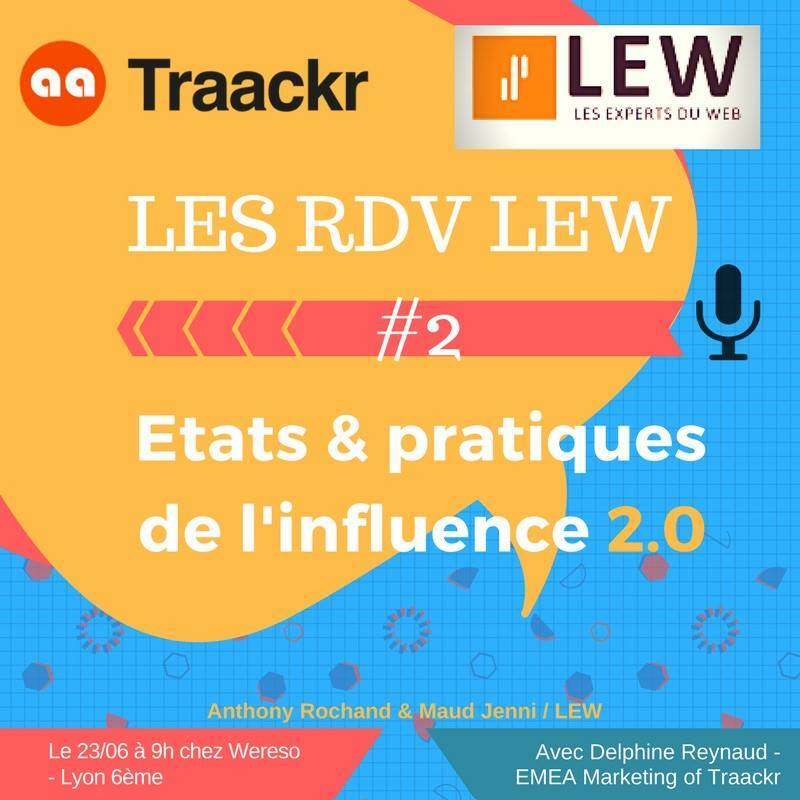 Delphine has also recently written an article of decryption, about Traackr studying on influence marketing 2.0 on our SMO Blog (of LEW). This study of Traackr is conducted jointly with Brian Solis Principal Analyst from Altimeter. We will raise so the principles of marketing influence, its workings, State of the nation, the link with LEW, as well as the Traackr tool in its entirety at this breakfast conference.